Eighteen-year-old Afeefa P sees herself as an IAS officer one day. The daughter of a school teacher, she had told her parents that her dream will only take flight if she heads to Delhi. That’s how Afeefa landed in the national capital on June 19 — from Panthalloor village in Kerala’s Malappuram. IAS might be the ultimate goal, but the stepping stone is “getting into a popular college in DU”. With a score of 98.28 per cent in Class XII, that wasn’t too hard — she got a seat in the first list at Hindu College, in the Political Science (Hons) course. “Delhi is a land of opportunity and the right place to get exposure… and DU is a top university,” she said. Like Afeefa, many others from states far away hope to make DU their home for at least three years, with trends suggesting the numbers are rising like never before. 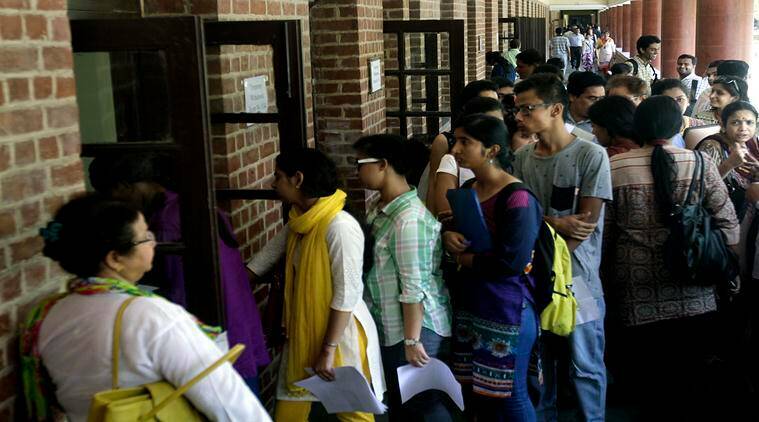 Why Are Admissions At DU So Chaotic? 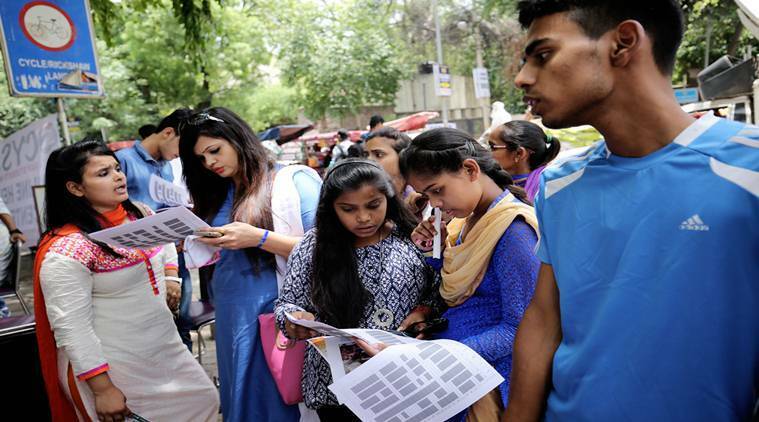 According to officials, admission figures at popular colleges under the first cut-off, which ended on June 21, suggest that close to 70 per cent have been taken up by students from southern states. But unlike previous years, when Kerala and Tamil Nadu had the lion’s share, this time it’s different. “This year, seats have been distributed equally among students from Kerala, Telangana, Andhra Pradesh and Tamil Nadu,” said SRCC principal Simrit Kaur. Officials at Hindu College as well as Lady Shri Ram College for Women echoed the same. Many students said that language can be an initial hurdle — but one they’re all too willing to conquer. 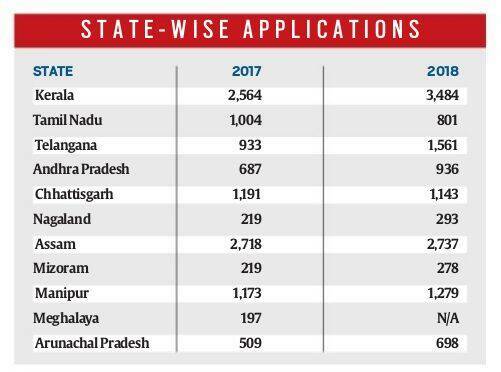 Consider this: Between 2016 and 2018, applications from the Kerala board jumped from 601 to 2,000; the Telangana board saw a rise from 539 to 1,484; and Andhra Pradesh from 394 to 604. “DU has a good international ranking and a great pool of alumni, so everybody wants to come here. This shows the diversity of our campus,” said Gurpreet Singh Tuteja, deputy dean, students welfare and OSD admission. Applications from the Tamil Nadu board, though, have seen a slight drop — from 521 last year to 441 this time. A senior official at SRCC attributed this drop to a change in admission policy for business mathematics students. “Tamil Nadu board students study business mathematics, which is lighter than other math courses. The university has worked out a rationalisation policy, where students tend to lose some marks. This could be the reason for the drop,” said the official. V Vishal, who said he isn’t particularly fluent in English, is not any less confident. A student of the Tribal Welfare Residential Gurukulam in Telangana, he has taken admission at Ramjas College in Physics (Hons), having scored 96.33 per cent in Class XII. “I am the first in my family to leave the state, and I don’t know anyone here. But I’m confident I will be able to learn and spend my time well,” said Vishal, who is from Nalgonda district. While a few colleges in DU have hostels, and the university too providing a facility for undergraduate students, the seats are limited. Since the uptick in the number of applications coming from some states has been quite recent, not everyone has a formal student association to rely on. This means figuring out the admission process by trial and error. Recently, the informal “Malayali Maitreyi Association” came up to provide assistance to students from Kerala. “They have a Facebook page, so I got in touch with them there. I’m hoping to get some assistance in finding accommodation,” said Mohammad Shamil, a student from Nadapuram. Shamil, who scored 97.1 per cent in his boards and has taken admission in BSc (Hons) Mathematics at Hindu College, has landed in the city with his cousin, who is also new to the place. With his father in Dubai, Shamil has sought help from the association to find him a place to stay. “Hostel seats are limited and allotted on merit. Getting into college wasn’t as difficult as finding a decent PG,” he said. That’s where associations for students from the Northeast excel. Rizvana, a student from Andhra Pradesh who took admission to Ramjas College last year, said life outside the college hostel is hard. “Not knowing Hindi, I struggled to communicate with domestic helps and rickshaw pullers,” she said, adding that she has picked up enough to “save her soul”.